For a short period of time we are offering a free boxspring on any Simmons World class or Simmons Comforpedic set. Yes that’s correct FREE boxspring for a limited time. Only a few times a year Simmons Beautyrest and Simmons Comforpedic will make this offer, so now is the time to consider buying a new set of bedding. This limited time offer is sponsored by the Simmons Manufacturer, Since they lower our price we in turn lower yours. We know a good mattress and boxspring can be an expensive item, so make sure you take advantage of this special free boxspring sale. Come and check out Simmons Beautyrest world class collection and also check out our Simmons Comforpedic collection as well. Michael from Kentucky called to inquire about a mattress that he found at Macy’s. Michael found the Simmons Beautyrest Recharge Arbor Terrace Plush queen set, which was a perfect match for him, but the hefty price tag was more than he could afford. He wanted to know if Go To Mattress could offer anything similar. Go To Mattress offers the Simmons Beautyrest Recharge Lumberton, which is the exact same mattress as the Simmons Beautyrest Recharge Arbor Terrace, at the guaranteed lowest price nationwide. We also offer free white glove delivery, free inside set up, free removal of your existing mattress and NO SALES TAX on any order placed with us. You can receive an additional discount when ordering over the phone with one of our sales representatives. Call Go To Mattress at 800-385-8319 and speak with a sales representative, or place your order online at http://www.GoToMattress.com. 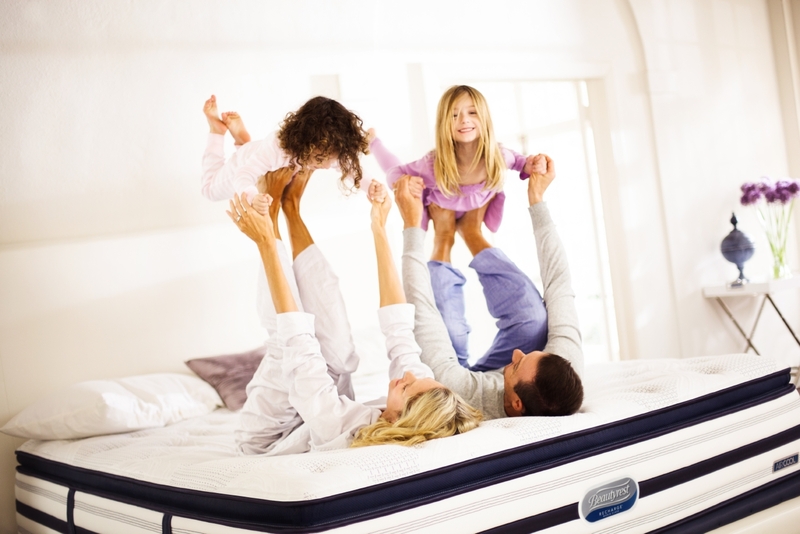 All mattresses are guaranteed of the highest quality and come with a full manufacturers warranty. Call Go To Mattress today and see how much we can save you on your next mattress purchase. This is the time of year when we provide mattresses to college students, usually for off campus apartments, but also for dorm rooms. If you’re moving off campus, unless your parents have a spare mattress set they’re willing to part with, you are probably going to have to buy a brand new sleep set. When it comes to a mattress, size really does matter. First, consider your room space. If you’re going to share a bedroom with a room mate, that means that you’re going to have to two sleep sets in the same room. Each twin mattress measures about 38 inches wide by 74 inches long (add five inches for twin extra long). Unless it’s a huge area, there probably won’t be much room for larger bed(s). If you have space for a full, ( appx. 53″x74″) or queen, (appx. 60″x80″) or king, (appx. 76″x80″) go for it. But don’t forget to consider the logistics involved in getting the stuff to your room this year, and maybe a different apartment next year. Many off campus housing options are older homes which have been converted into a half dozen or so apartments. Twins and fulls tend to go into these old places rather easily, however, If you want a queen size, opt for spending a bit more on a two piece, split foundation (box) that can be navigated up and down even the tightest of staircases. My personal recommendation is a full size if there’s room, since it will fit nearly any situation. At gotomattress.com, we don’t offer “cheap” bedding,” but if you want a good quality mattress that won’t break your back or your budget, visit out store. For the budding scholar who knows the value of a great night’s sleep, we carry an entry level Simmons Beautyrest Classic Recharge Miki twin mattress for a very reasonable $399, and that includes tax-free delivery anywhere in the continental US. Two piece sets and larger sizes run somewhat more. The Miki features the latest in sleep technology and shares many characteristics with the more expensive Beautyrest models. Start with the renowned individually pocked coils, which give even support to the entire length of your body. Overlay them with a hefty three inches of durable, pressure relieving foams, including a full inch of “Air Cool” comfort foam for cooler, more enjoyable rest. Sleeping on a mattress like this may very well raise your grade point average by a couple of levels! Posted in Best Mattresses, Innerspring Mattresses, Mattress Buying Tips, Mattress Recommendations, Mattress Shopping, Mattress Tips, Plush Mattresses, Pressure Relieving Mattresses, Simmons Beautyrest, Simmons Mattresses, Sleeping Hot. This is the time of year when we provide mattresses to college students, usually for off campus apartments, but also for dorm rooms. We see a fair amount of young scholars who are very unsatisfied with their dorm mattresses. Typically these are the twin extra long mattresses provided by the school, although sometimes it’s just a standard size twin. In either case, if your looking for a good quality mattress for your room, I’d recommend the Simmons Beautyrest Classic Recharge Miki plush. Gotomattress.com carries this entry level Beautyrest mattress in regular twin size (slightly higher for extra long) for just $399, and we can deliver it for no charge, tax-free to any campus in the continental US (that’s the “lower 48” for you non-geography majors). Sure there are cheaply made mattresses for less money, but if you value your personal comfort and the quality of your sleep, then this mattress truly is a bargain. It features the latest in sleep technology and shares many characteristics with the more expensive Beautyrest models. Start with the renowned individually pocked coils, which give even support to the entire length of your body. Overlay them with a hefty three inches of durable, pressure relieving foams, including a full inch of “Air Cool” comfort foam for cooler, more enjoyable rest. Sleeping on a mattress like this may very well raise your grade point average by a couple of levels!